New Delhi: The vote share of the BJP in the Assembly elections of Madhya Pradesh, Chhattisgarh and Rajasthan is 41.3%, 32.7%, and 38.6% respectively. This shows that the party has been able to retain a substantial chunk of its traditional voters and other supporters and sympathisers of its outgoing state governments. In comparison, the Congress's vote share in Madhya Pradesh is 41.2%, 39.1% in Rajasthan, and 42.9% in Chhattisgarh. 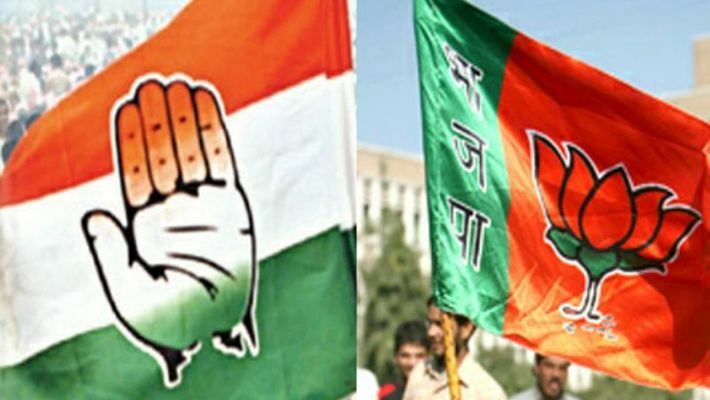 It is surprising that despite five, 10 and 15 years of incumbency in Rajasthan, Chhattisgarh and Madhya Pradesh respectively, it is not a clean sweep for the Congress. In Chhattisgarh, it has won with a comfortable margin of seats. Many of the winners in these elections are rebels of the BJP who either fought independently or switched to the Congress, BSP and other parties. This points at a mistake the BJP did in nominating candidates. In 2013, Congress had had a similar performance and yet it could not retain power after the general election that followed the next year. The Congress was leading in vote share in Meghalaya, Karnataka, and Mizoram. This is another factor that could console the BJP.